Oplontis, a rich Roman Villa brought to light in the very centre of the modern Torre Annunziata, not far from Pompeii, with intact wall frescoes famous today for their brilliant colours. The eruption of Vesuvius buried it under a layer of ash. 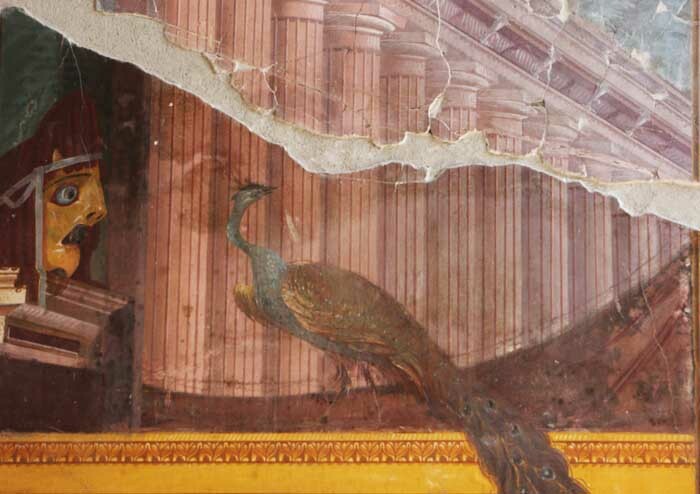 Today it is supposed to be the villa of Poppea, the second wife of the Emperor Nero. A small treasure in the Vesuvian area, with some of the best preserved and fascinating frescoes of all the Roman age. The tour in Oplontis takes about 1 hour and can be associated together with Pompeii or Herculaneum in a day. Send an email to info@silviaguide.it to receive more details about the tours with Silvia or complete this form.